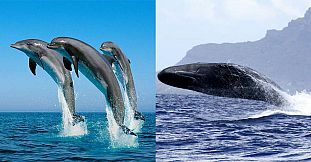 Explore the spectacular world of both the dolphins and whales in their natural aquatic habitat. 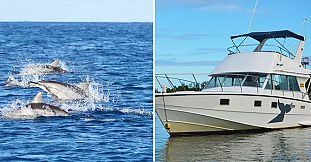 Immerse yourself in the adventure of a lifetime swimming with dolphins, watching them from on-board one of our luxury cruising vessels or observing the whales in the open sea. 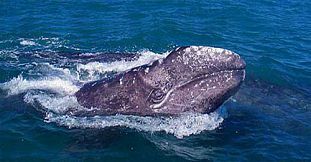 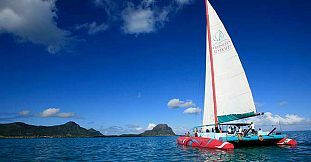 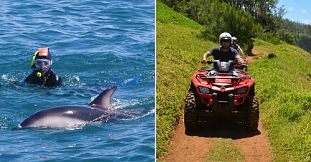 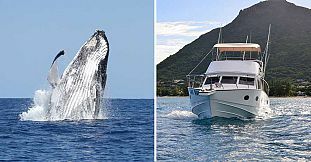 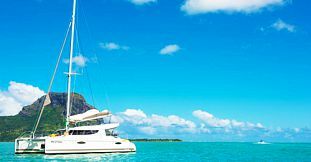 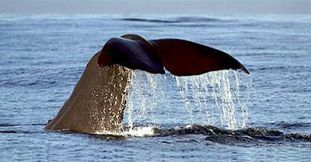 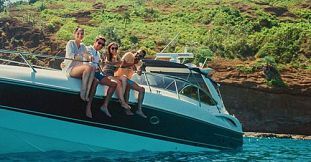 We do offer a large selection of trips on the West coast of Mauritius to see both dolphins and whales coming face to face with these remarkable marine mammals. 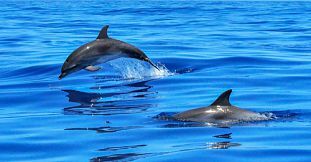 All the trips are done under the supervision of professionals while respecting these splendid marine mammals, their environment and their daily living habits. 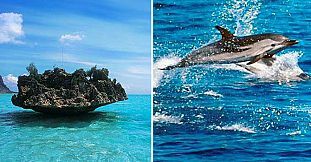 Make sure to enjoy one of these MUST DO trips during your holiday and have an unforgettable experience. 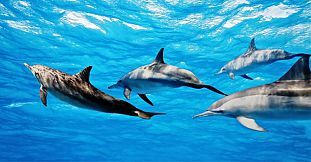 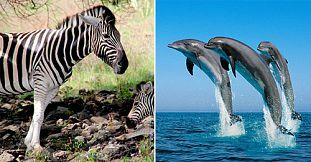 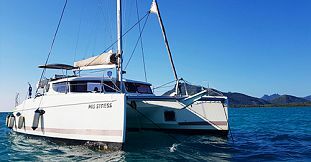 The list of trips offered includes: 2.5 hours dolphins swimming experience, full day dolphins trip including the visit to Benitiers Island and Crystal rock, dolphin swimming safari day package, dolphins and whales combined trip and many more. 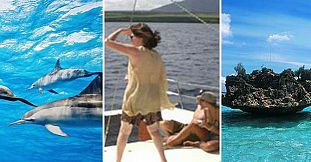 For the convenience of our clients we do offer all the trips both on shared basis and exclusive-private basis, as per client preferences.